No.1 VW-Audi-Mercedes-Porsche-Bentley specialist in Al-Quoz! Specializing in repair, maintenance, body work, car care, classic car restoration, and performance tuning and upgrades. Sat-Thu: 8:30 am – 6:30 pm. Closed on Fridays. Late pickup and early drop off options available! 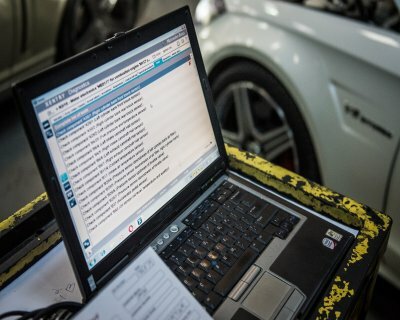 REVO & RaceChip Performance Tuning & Upgrades! Deutsche Technik is a REVO Authorized Dealer. 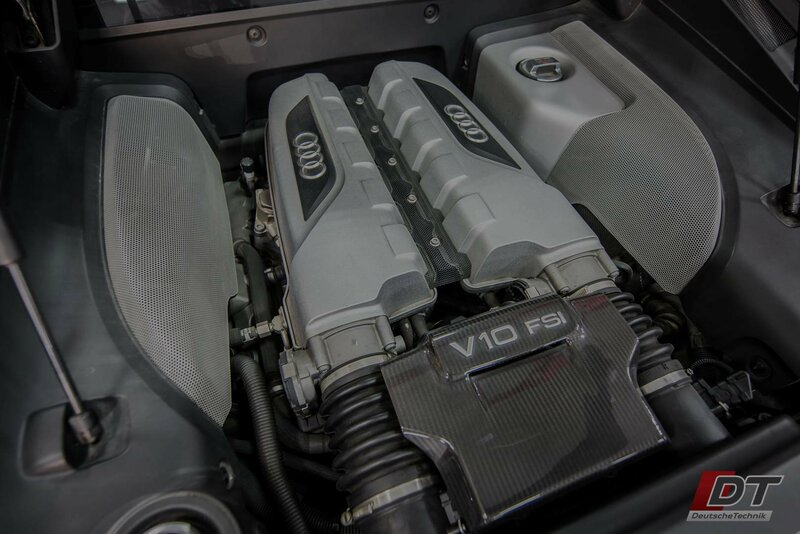 REVO is a renowned UK tuning and upgrade company specializing in VW, Audi, Ford, and Porsche. When your need for speed and power is only matched by your demand for safety, reliability, and refinement, there is ONLY REVO. No gimmicks, no fluff. REVO is not recommended for boy-racers. When you need a totally non-invasive, fully reversible tuning solution, look no further than RaceChip. 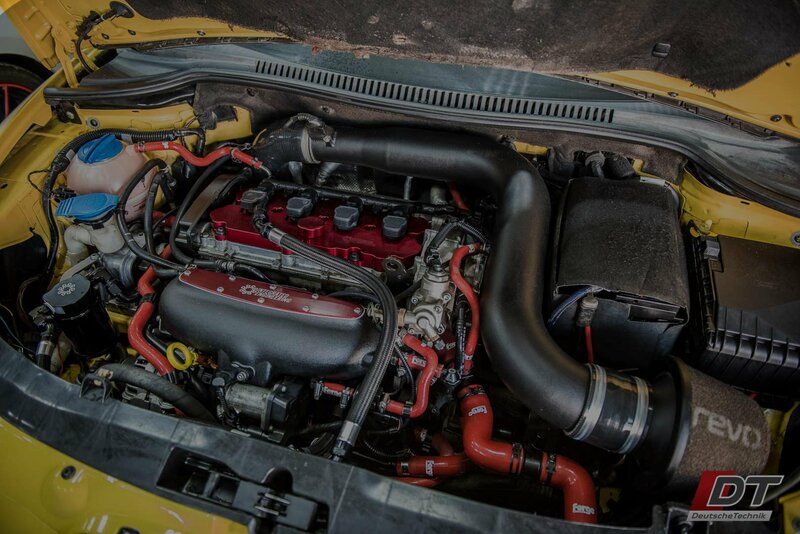 Especially useful if you want to maintain the manufacturer warranty as RaceChip is easy to remove and reinstall into any vehicle. The German engineered and manufactured RaceChip piggyback chip tuning solution has just released an entirely new product line and is unmatched in the industry. All of our parts are sourced directly from the vehicle manufacturer or quality parts manufacturers that supply vehicle manufacturers. Only pay for the quality, never pay for the logo. 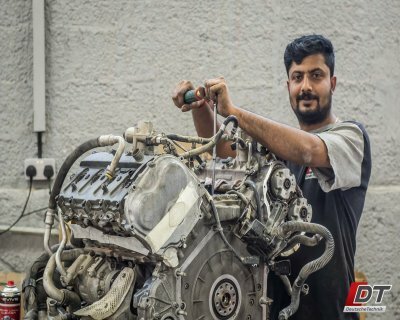 Engineers, veteran motorsport experts, and ex-agency technicians make up the people at DT taking care of your treasured vehicles. We work to make your life easier. From our pickup and drop-off service to our extended drop-off and vehicle collection hours, you don’t have to move a muscle. It almost seems too good to be true. Superior to the main dealer in terms of technical knowledge, skill, and turnaround time, but much more agreeable prices. 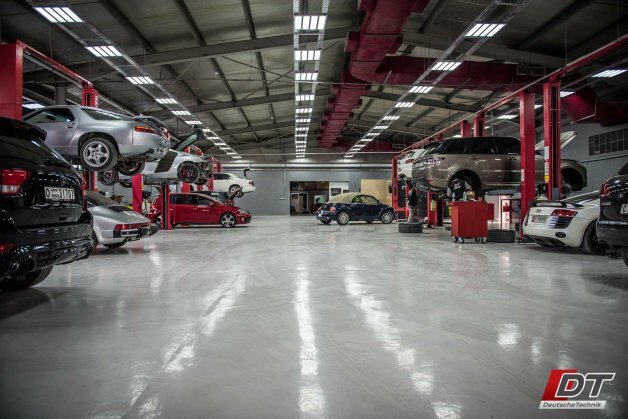 Deutsche Technik Service Centre is Dubai’s first and largest VW, Audi, and Mercedes vehicle specialist and performance tuner. 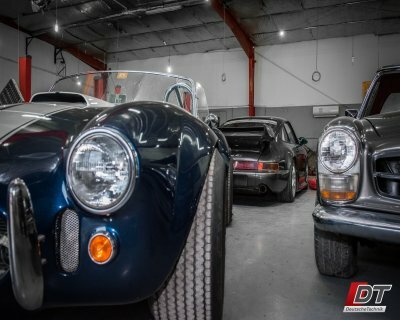 Today, DT has expanded its focused specialization into Porsche, Bentley, and classic car restoration. 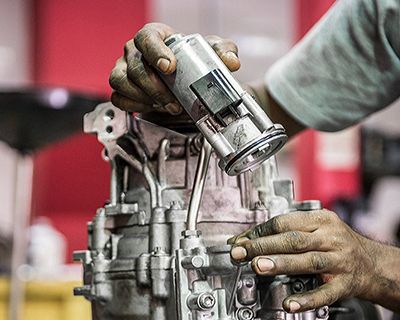 With our brand new, state-of-the-art 20,000 square-foot facility, DT offers a full range of mechanical, A/C, electrical, and body repairs. 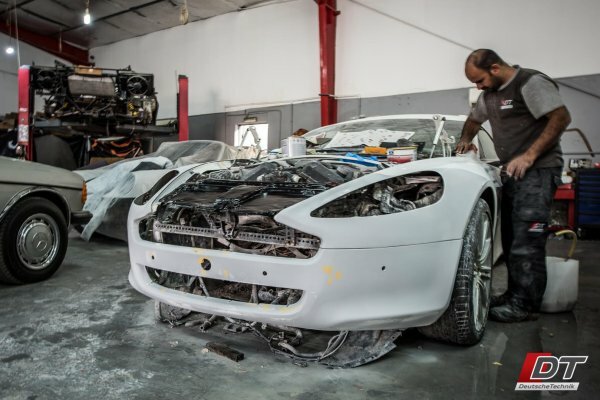 With a fully equipped, standalone body shop and top-of-the-line paint booth, DT produces fantastic results for the most discerning customers. 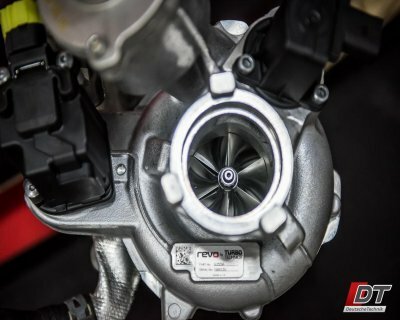 DT is also the UAE’s premier REVO & RaceChip licensed dealer for all of your performance tuning and hardware upgrade needs. 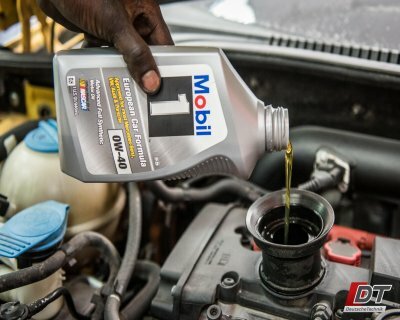 DT also offers products from several other performance oriented brands such as Milltek Sport to give our customers the best selection of performance tuning and upgrades in the market. Your car is collected from your home, free of charge. A complimentary 200-point health check as well as the requested services and repairs are carried out. The car is washed inside and out, and then delivered straight to your doorstep!